Butcher and the Farmer is a unique inner-city destination for food and wine and an integral part of the historic Glebe Tramsheds restoration and redevelopment. The food served is simple, honest and delicious and the ingredients are sourced with care. Probus Club members enjoy 10% off all menu items when presenting their Probus membership card. Doltone House Sylvania Waters is built around Sutherland Shire’s picturesque Gwawley Bay. Probus members can enjoy the renowned Doltone catering and service experience in our luxurious five star venue – without the luxury price tag! Stunning rooms, easy access, great rates and ample free parking make Doltone House Sylvania the ideal choice for your Probus event. Offering Probus Clubs discounts for lunch, high tea and Christmas in July packages. Available Monday to Thursday. Probus membership number to be provided at the time of booking. Located under 2-hours’ drive from Sydney airport and less than an hour from Penrith and Richmond, the Garden is the perfect backdrop for a gathering, workshop or family day out. Probus Club Members receive 10% off group bookings. Tribal Warrior connects people from all over the world with the ancient culture of Australia and the history of Sydney through Aboriginal Cultural Cruises on Sydney Harbour. Come aboard Mari Nawi at Circular Quay and travel to Clark Island National Park. Hear the traditional stories of the harbour and enjoy a cultural dance performance. Probus Club members enjoy a 20% discount on all Cultural and group charters. Located in the beautiful Yarra Valley, about an hour's drive from Melbourne and home to some of the oldest vines in the valley, planted in 1968. This family vineyard features a Cellar Door where you can purchase some of our award winning wines, Restaurant, Barrel Room, Australiana Shop, Bed and Breakfast Studios, Conference facilities and Weddings with its own chapel. Picturesque scenery and home to the signature dish "prime aged charolais beef cooked over the turning spit", Fergusson Winery and Restaurant - Real Food, Real People"
Probus Members will receive a 20% discount in restaurant, excluding public holidays and a 20% discount in cellar door, off regular retail price. Probus Member No. must be quoted at time of booking or produced in cellar door. Momento is Australia’s first and finest photo book company. They offer easy-to-use design software, good old-fashioned customer service and 25% off your first book, box or stationery order. You’ll find plenty of inspiration and advice at www.momento.com.au/active or call their friendly team on 1300 799 764. Momento is delighted to offer Probians a 25% discount on your next book, box or stationery order. To redeem offer use code RETIREES at checkout. The Ambassador Card membership gives members guaranteed and unlimited savings at over 1,650 restaurants, hotels, cinemas and attractions in your home state and whenever you travel. If you enjoy dining out in some of Australia's favourite restaurants, travelling to some of the most popular tourist destinations, exploring museums and galleries or simply a quiet night at the cinema then you will benefit from a membership. Imagine how much you can save! A membership is a great gift that will have your recipient thanking you every time they dine out. Why not consider The Ambassador Card membership as a gift for Christmas, birthdays or even Mother’s Day and Father’s Day. Probus Members receive an exclusive offer to purchase the Ambassador Card for $20 plus gst, normally priced $199 inclusive of gst. Probus members will need to order the Ambassador Card over the phone and provide their Probus member number to receive this discount. Comedy Theatre Restaurant - Located at two venues in NSW (Windsor and Bankstown), The Burning Log provide entertainment shows (live) with a 2 course meal. An exclusive offer of $5.00 discount off admission price day or night for each Probus Member at all shows quoting Probus membership number at the time of booking. Booktopia is a 100% Australian owned online only retail store selling books. Probians are offered an additional 10% discount off our already discounted books. As individuals we are living longer. Your retirement may stretch 20, 25 or 30 years. This may be longer than what you first thought. Achieving a meaningful retirement requires both lifestyle and financial planning to ensure it is satisfying, stimulating and allows you to do the things that you love most. Retirement Coaching will help you ease the transition towards a meaningful retirement. Pets Palace is one of Australia's leading retailers of Pet Products and accessories. There is a huge range of great products. Probus members enjoy 10% off all products listed by quoting the unique code "Probus10" at check out. 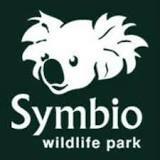 Symbio provides an upclose and personal experience with all your Australian native and exotic favourites just 40 minutes south of the Sydney CBD on the Grand Pacific Drive. Probus members receive 20% off at the time of booking.